Hey ladies! I am back with another weekend look. If you were to ask me what my favorite print is? Hands down it would be stripes followed by floral print. 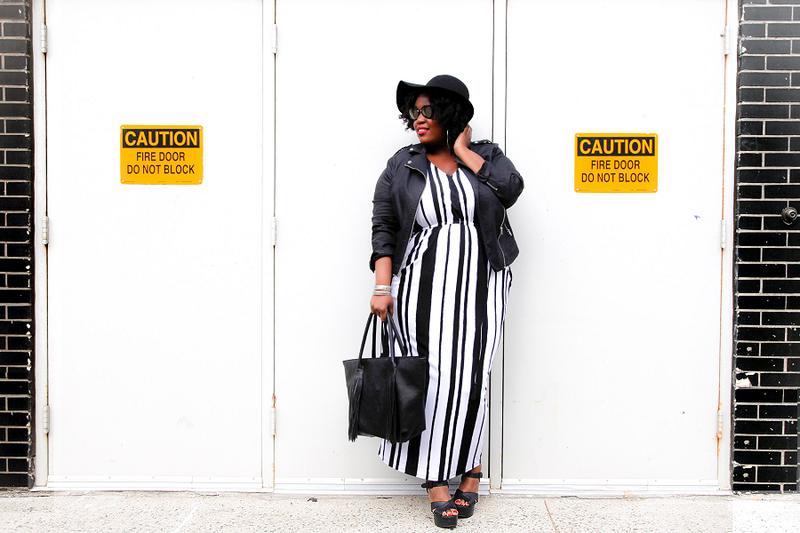 I just love stripes, so when I saw this maxi dress from Lane Bryant, I knew it needed to be mine and I knew exactly how I wanted it to be styled. My inspiration was the 90's. Therefore adding a leather jacket, platform heels, and a fringe bag into my current style was the look I was trying to create. 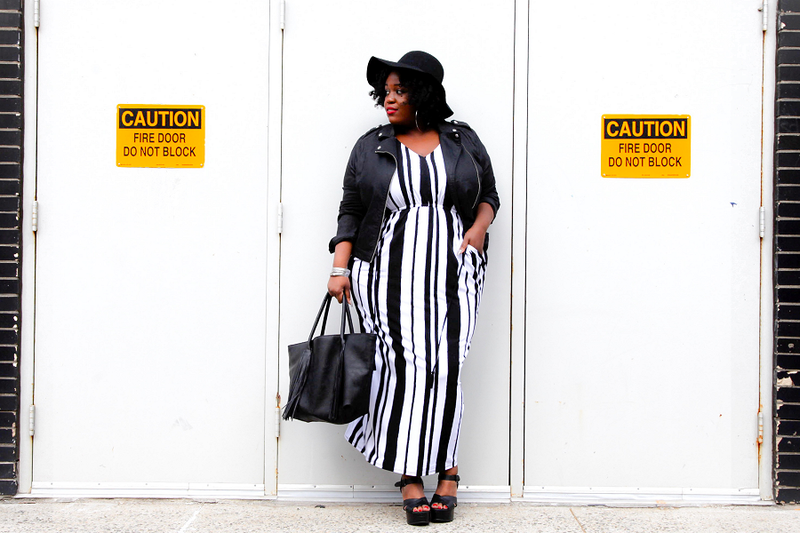 I actually wore this outfit to the BET/ Centric "Curvy Style" event. Since the event was in the evening and in the city (Manhattan) it was just right for the scene. 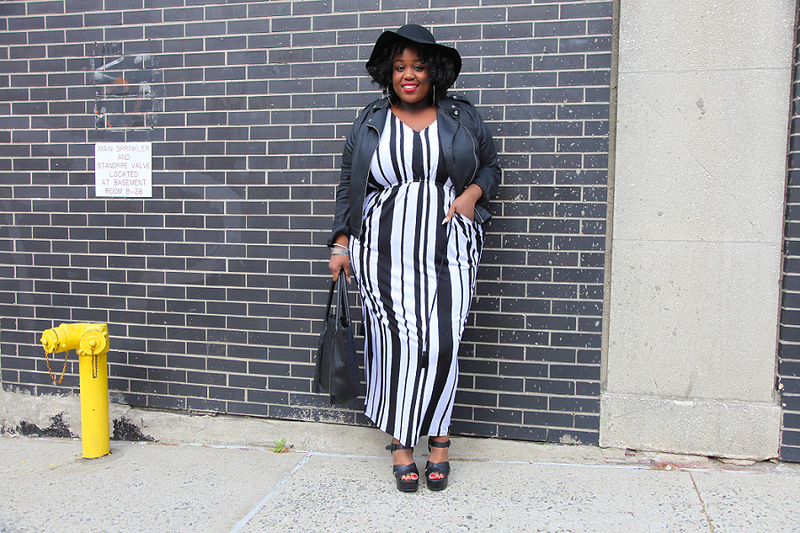 Love this dress on you and you styled it perfectly!